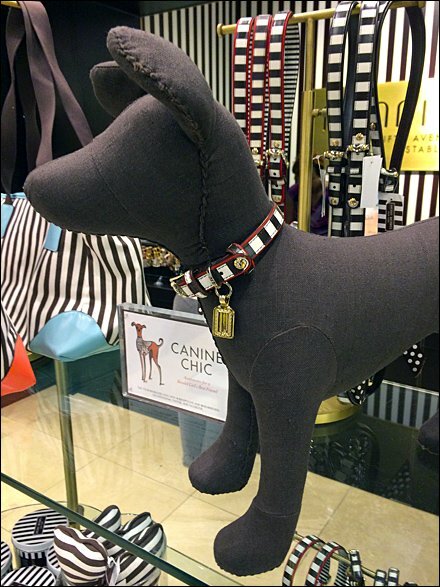 Branded more by color, patterns and design than by hanging Charm, Henri Bendel nevertheless lets your dog lead the good life in a fashionable collar. And if you look very, very closely, see that the collar snaps and rivets conceal a Henro Bendel logotype in circular imprint. Many Bendel fixtures echo the circular concept, and well rounded specialty typeface. CLICK the thumbnail for a half-dog view and follow more HB links below.